4 Bedroom House For Sale in London for Asking Price £2,250,000. 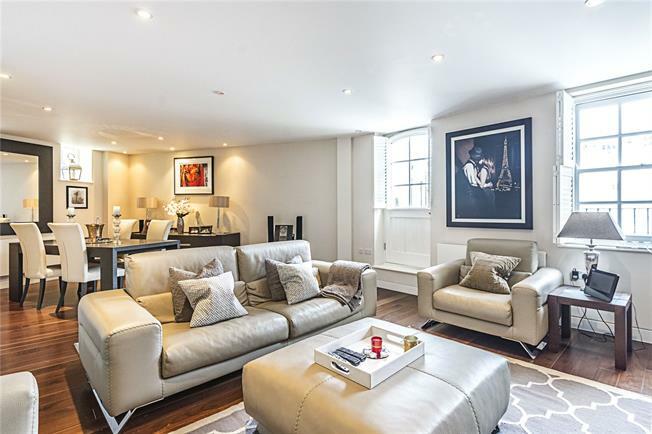 An exceptional end of terrace mews house which is presented in pristine condition and to a high specification. The impressive ground floor comes with high ceilings, a contemporary well equipped kitchen which includes a spacious breakfast room. A handy laundry room and a downstairs shower room with W.C sit at the back of the house with access to a good size garage and a large storage room (The garage could be changed into residential use with the appropriate permissions). The first floor has a light and wide reception room with views down the entire length of the mews with a dining area to one side, a study/fourth bedroom, a balcony and a convenient guest WC. The top floor has three further bedrooms and two more bathrooms (One of them en suite). Eccleston Square Mews is located between Eccleston Square and Warwick Way convenient for many local amenities, shops and restaurants. The transport links are superb with Victoria Station(Mainline Station, Gatwick Express, Circle, District and Victoria Lines) and Pimlico Station (Victoria Line) close to hand.